Welcome to Spectra Test Equipment, Inc. Since 1988, we have been providing quality used and refurbished electronic test and measurement equipment to the electronics industry, government/military customers, and universities and academic institutions. Not only do we sell and rent equipment, we also purchase your used inventory. Tell us what you'd like to sell by clicking here. 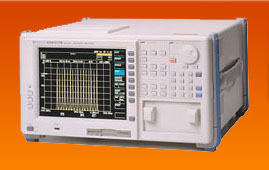 Our Most Popular Product Lines Include - Anritsu Network Analyzers, Agilent Test Equipment, Agilent Spectrum Analyzers, Tektronix Oscilloscopes, Agilent Oscilloscopes, Optical Spectrum Analyzers, reconditioned Network Analyzers, Fluke Digital Multimeters, Ando Optical Spectrum Analyzers, Keithley Meters, and refurbished Sorensen Power Supplies.